Get ready for a wild ride. 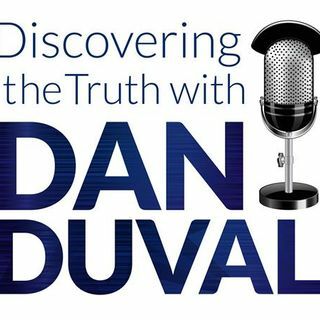 This week on Discovering the Truth with Dan Duval Ruthie is back. She joins us to talk about some of her latest discoveries regarding gold and energy and how they have relevance to Spiritual Warfare. Listen and learn the strategies for stopping energy and frequency based attacks. You will also learn about chaos theory and how it all ties together to create a framework for the prayer that she has put together to block energy attacks. This will be full of revelation and ... See More insight. Do not miss this program.